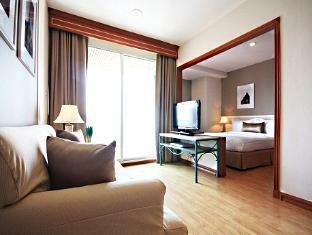 Two bedroom suites in Ratchathewi Bangkok are few and far between but the Evergreen Place may just be what you need. 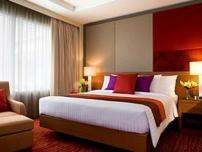 Hotels in Bangkok Thailand cater for all types of visitors; singles, couples and families. 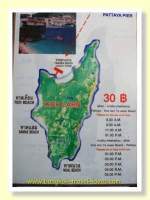 But even though hotel prices in Thailand are amongst the cheapest in Asia, it is still a big expense when bringing the whole family. Unless the children are still small, you will need to get interconnecting rooms so you can make sure they stay safe. This Bangkok hotel is a firm favourite with Bangkok regulars and is located at the Ratchathewi BTS station, which is is only one stop away from the Airport Link connection at Phaya Thai. So, if you need to go directly to Suvarnabhumi Airport by public transport and you require a a 2 bedroom suite for your family, then check out this great Bangkok hotel which is going to be at a good price. 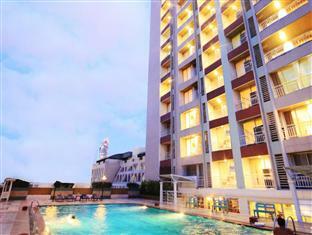 The Evergreen Place Bangkok has a range of one and two bedroom apartments suitable for all the family. Located between the main upmarket shopping district of Siam and the bargain shopping area of Pratunam it is conveniently placed for any serious Bangkok shopping activity. So whether you are looking for bargains or want to lavish yourself on brand name goods it is all on the doorstep. Any part of Bangkok can be reached from the BTS station at Ratchathewi which is located 2 minutes walk away. 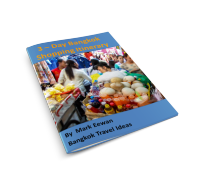 Travel to the Chatuchak Weekend markets at Mo Chit or go in the other direction and head for the Chaophrya River at the Saphan Taksin station. 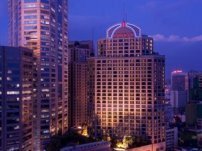 The availability of 2 bedroom suites in Ratchathewi Bangkok is very limited, so if you didn't find what you want then perhaps have a look at some of the other areas in Bangkok. The Siam area hosts a variety of shopping venues for the discerning visitor looking for iconic brands. where all sorts of discount fashion goods can be bought, either retail or wholesale.